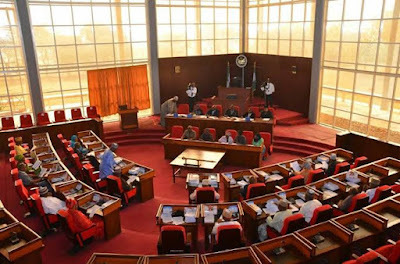 The Kwara State House of Assembly has called for a working synergy between the State Government and the Federal Government on the need to establish Army Barracks in Kaiama Local Government Area of the State. This, according to the lawmakers would check activities of bandits in the area. This was parts of the resolutions of the House on a motion on the resurgence of banditry in Kaiama moved by Hon. Ahmed Ibn Mohammed representing Kaiama/Kemanji/Wajibe Constituency. The House, according to the resolution read by the Speaker, Dr. Ali Ahmad, also called on the Federal Ministries of Agriculture and Environment to reduce the size of the over 43,000 sqm forest in the town by allocating part of it for farming. The lawmakers also called on the Inspector General of Police, Mohammed Adamu, to extend the ban on illegal mining to Kaiama/Baruten axis of the state to reduce infiltration of miners and criminals in the area. The state legislature also called on the State Government to intervene in the security of lives and property in the area. The Ali Ahmad led legislature advised the traditional institution in the state to be vigilant, especially with the influx of strangers into their different communities. Shedding light on the motion, its Prime Mover, Hon. Ibn Mohammed said the resurgence of banditry in Kaiama was unfortunate as it could escalate into serious danger to lives and property. Other contributors to the motion included Hon. Kamal Fagbemi. Hon. AbdulRhaman Akani and the House Leader, Hon. Hassan Oyeleke. Meanwhile, the House has set up a 3-man committee to liaise with the APC Transition Implementation Committee on the letter it wrote to the House requesting for handing over report. The 3-man committee headed by Hon. Kamal Fagbemi (Oke-Ogun Constituency) has Hon. Felicia Ebun Owolabi (Ekiti Constituency) and Hon. Ahmed Ibn Mohammed (Kaiama/Kemanji/Wajibe Constitutnecy) as members. The committee, according to the Speaker of the House, Dr. Ali Ahmad, is to interface with the House on the essence of the letter given the fact that the legislature is not an Executive arm of government.